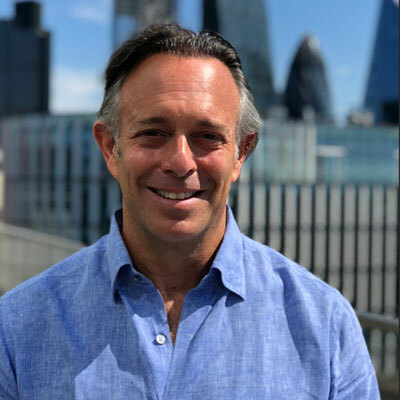 Craig is Chairman of Worn Again and also occupies a board role in several start-up ventures within the emerging tech, media and entertainment space. For the last nine years, Craig was Vice Chairman of Cirque du Soleil Russia. He brought eleven highly acclaimed international shows to 14 Russian cities, reaching a combined audience of 2.5 million people. In the process, he brought 100 million USD investment into the business and helped develop Russia’s first electronic ticketing system. Prior to this, he spent 8 years owning and running his own international strategic development advisory firm that built businesses in India and Africa, including a modern clean energy enterprise with BP for rural Indian women, and a successful Indian rural tech agricultural business called Reuters Market Light. Previously, Craig had a 14-year executive-level career at The Coca-Cola Company. He started their operations in Moscow in 1990, where he helped oversee the building of the company’s first factory. After running their marketing division throughout the Soviet Union and Northern Europe, he worked as Coca-Cola’s brand director worldwide, as well as Europe’s director of Learning Strategy for three years. In 2000 he served as Deputy Division President for the Northwest Europe Division. In 1993, Cohon received an Honorary Doctorate of Economics from Moscow International University. In 2000, the World Economic Forum named him “A Global Leader for Tomorrow.” Cohon earned his BA in liberal arts at the University of Western Ontario received the school’s Outstanding Alumni Award in 2004 and currently sits on their International Board.